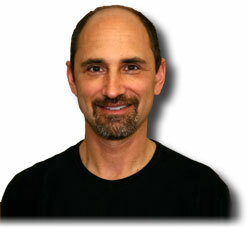 Dr. Sam Skurie offers comprehensive family and cosmetic dentistry. Dr. Sam Skurie offers comprehensive family and cosmetic dentistry using state-of- the-art dental equipment in a caring and comfortable atmosphere. We take the time to listen to your concerns, so together we can decide on the best possible course of action for your optimal dental health. We invite you to explore our website to learn more about Dr. Sam Skurie, our staff, our practice, and the services and treatment options we offer. Take a few moments to read what our patients have to say and contact us for a complimentary consultation, where we can discuss your dental health and any aesthetic concerns you may have. With Dr. Sam Skurie, whether it’s routine preventive care, a complete smile makeover, or a discreet enhancement, you will be in the hands of skilled, trustworthy and caring professionals. Cosmetic dentistry is one of the most cost-effective ways to improve your appearance. A beautiful, bright, healthy smile can increase self confidence and overall life satisfaction. Many regular dental treatments can be cosmetic. Modern tooth-colored fillings are virtually invisible when compared to traditional silver fillings. Tooth-colored crowns or caps can be placed instead of gold or silver. In this section, we will look at some of the best treatments we can use to greatly improve your smile and the way you feel about yourself. Prevention is always better than treatment. By actively preventing disease and decay through regular home care, professional dental cleanings and regular exams, you will maintain a healthy, beautiful smile. Research has shown that almost everybody has a 95% chance of experiencing some tooth decay. When tooth decay does occur, it is highly important to remove the decay, clean the tooth and repair the tooth with some type of restoration. In addition, lost or missing teeth need to be replaced to protect your overall oral health. Dr. Sam Skurie has extensive experience treating patients in a wide range of dental health. Infection control in our office is also very important to us. We strictly maintain sterilization and cross contamination processes using standards recommended by the American Dental Association (ADA), the Occupational Safety and Health Administration (OSHA), and the Center for Disease Control (CDC) to ensure the protection of our patients and ourselves. Call us for a consultation today!